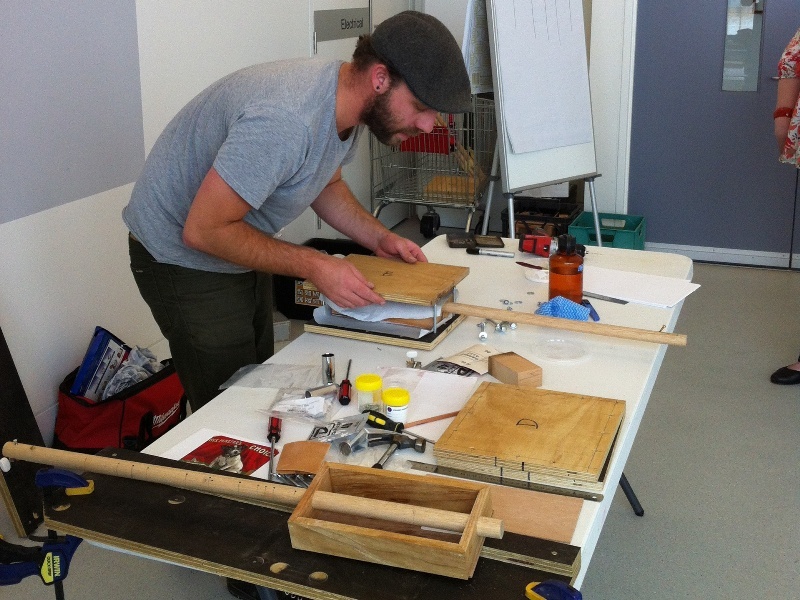 I love making things and blues music, so when I heard of a cigar box guitar workshop I had to have a go. The workshop was great, I’ve got a cool looking guitar to hang on the wall, but I still have no musical talent! 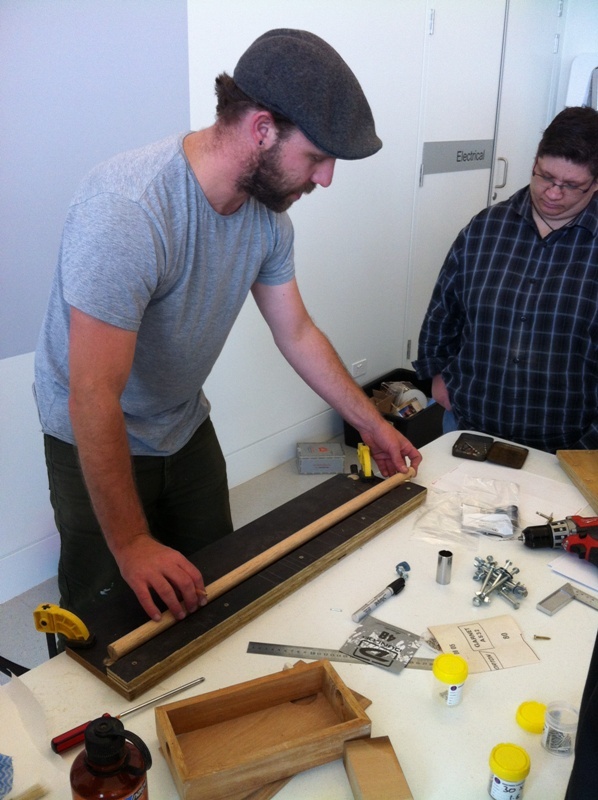 The workshop was held by the Blue Mountains Cultural Centre, as part of their National Recycling Week activities. What’s it got to do with recycling? All of the timber was recycled from offcuts from a joinery company in the blue mountains. The workshop was taught by Andrew Rignold of Rignold Guitars, a guy who loves blues, guitars, and sustainability so he was a natural fit. We started off with a work table full of pieces, like a big jigsaw puzzle. Andrew had already pre-assembled the sides of the guitar body from New Guinean Rosewood. 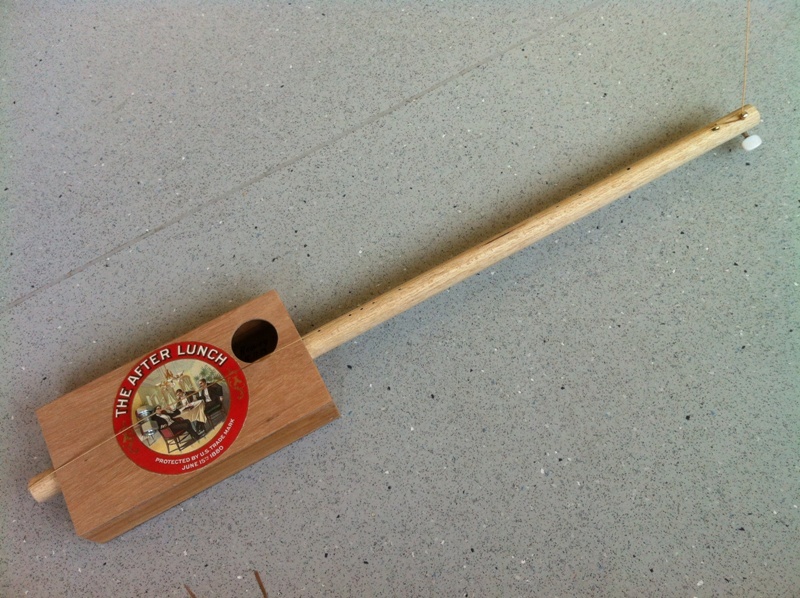 Why not an actual cigar box? With our new tobacco laws they aren’t allowed to sell cigars in the boxes anymore, so they’re not brought in. Rather than import empty boxes of air, Andrew made the call to make boxes from timber offcuts. The Rosewood has just the right resonance which makes it perfect for instrument making. They’re pre-made to save time on the day, because watching glue dry is pretty boring. Andrew takes time to demonstrate the more involved steps when needed, like marking out the frets on the neck. After fixing the attachments to the neck and securing the neck, the next step was to glue the front and back on. 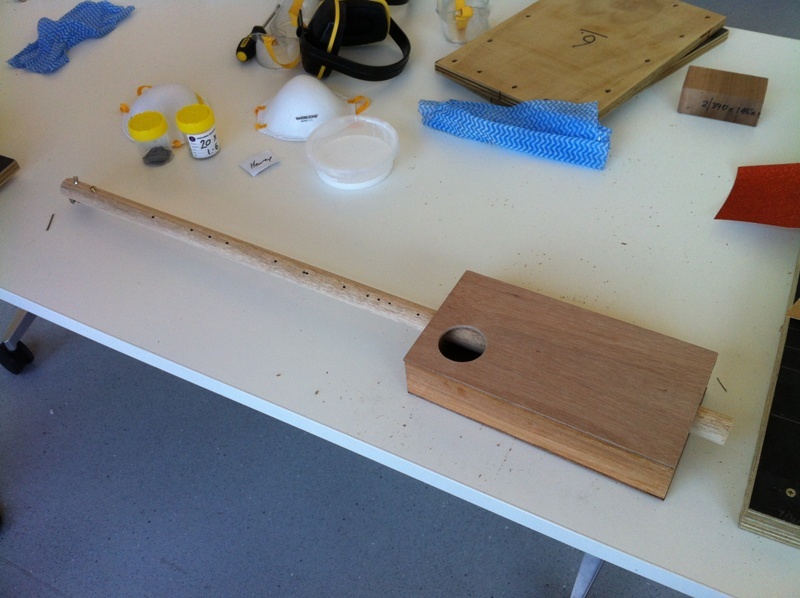 After gluing, it was clamped up and everyone grabbed some morning tea. Here is what it looked like straight after clamping. The next step was a bunch of sanding to get the edges neat and smooth. 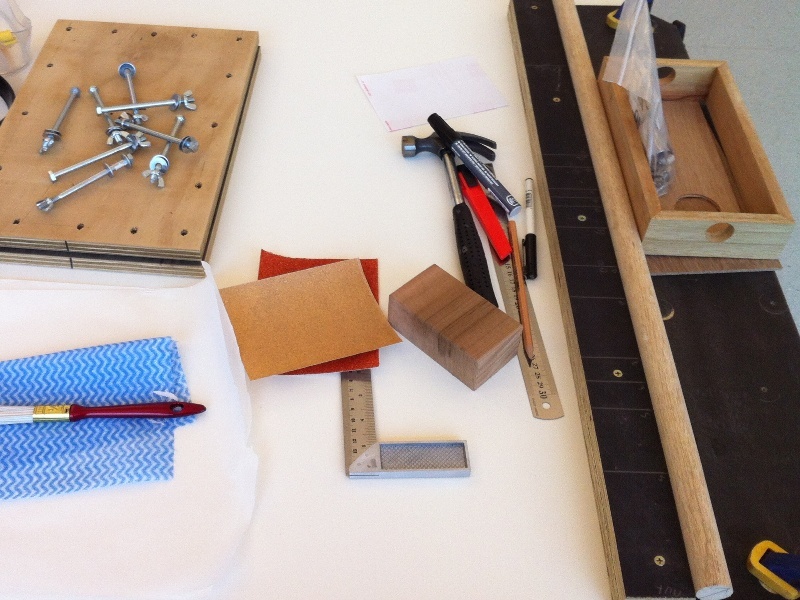 The final steps were attaching a cigar box style logo, and then attaching a guitar string. It’s got a great note and looks fantastic. While I’d love to include a video of me playing some great blues, I totally lack any musical abilities so here’s a short video of Andrew playing one of his creations. I was up in Qld a few months ago and CBGs are everywhere! I decided I wanted to try it and bought a cigar box at an antique store. Can’t believe I missed this course and it was right in my backyard!